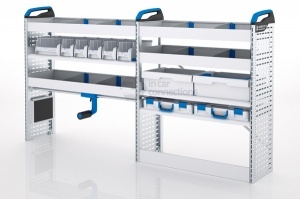 Sortimo van racking and storage systems for Ford Transit Custom will help you organise your van and keep you and your passengers safe. 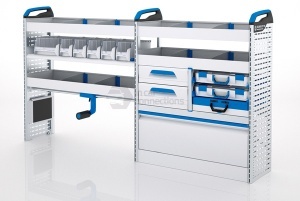 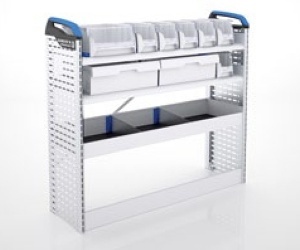 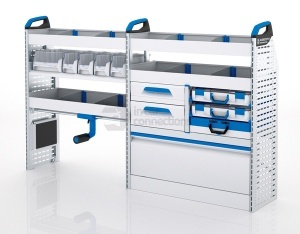 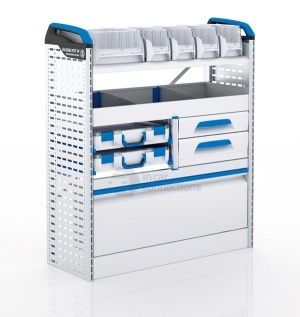 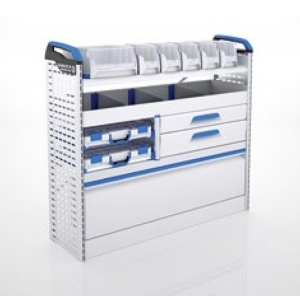 Sortimo van racking systems are constructed from the highest quality materials and offer a versatile solution to storing your tools and other equipment in your van. 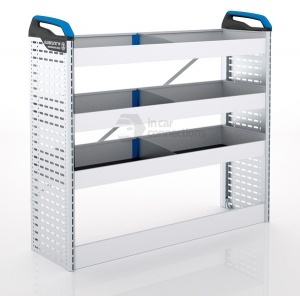 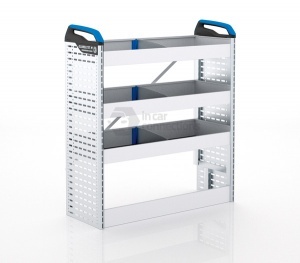 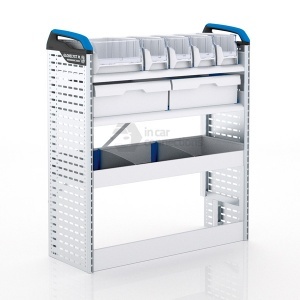 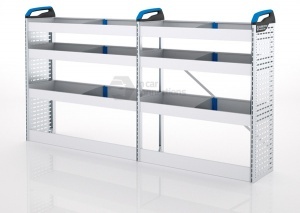 The lightweight but rigid construction of Sortimo in van racking offers fuel efficiency savings and all Sortimo racking undergoes full crash testing. 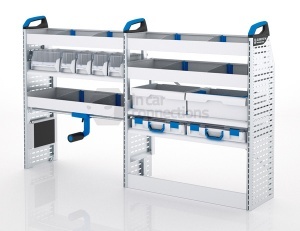 We offer the complete range of Sortimo equipment, please view our range of van racking modules for Ford Transit Custom below. 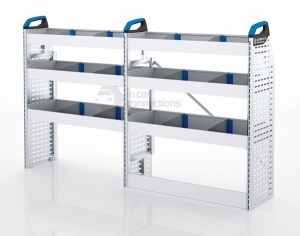 Please feel free to contact us if you require further information or have specific requirements.